All American Cafe is one of the larger restaurant locations at Six Flags Over Texas. Guests have the option of both indoor, air-conditioned seating and outdoor covered seating. 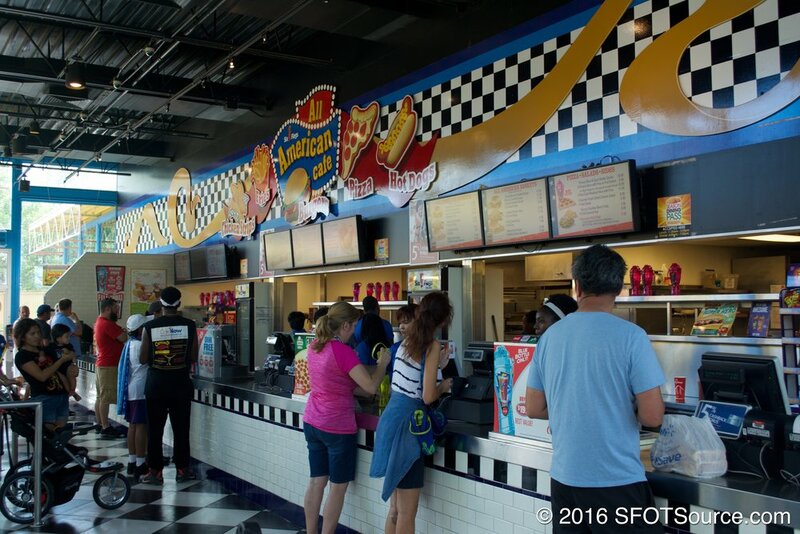 The restaurant serves a plethora of different food options that are available on a Dining Pass.